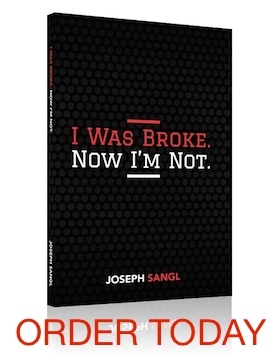 Welcome to the latest series on JosephSangl.com – I Lost My Job – Now What? In a time of increasing unemployment and job loss, I thought it might be helpful to write this series. It is my hope that it is a help to those who have experienced a job loss. I have met a lot of people who are so overwhelmed with making their financial ends meet that they have given up hope. They have despaired of making it work at all. This is not the case! It CAN work. It CAN be dealt with! It is NOT hopeless! However, you must understand the gap and fill it. What is the gap? The gap is how the amount of additional money needed to make the budget balance. While the US Government might print more money to "fix" the situation, we cannot do that (although it does come with free room and board if you do print your own money). Prepare a written spending plan using the priorities discussed in Part One. This will allow you to understand the gap. How do you fill the gap? Well, using our equation, INCOME – OUTGO = EXACTLY ZERO, there are two ways – reduce OUTGO or increase INCOME. What other ways would you or have you increased INCOME or decreased OUTGO? Posted in Finance, Lost My Job - Now What? Alas, there is little I can do to reduce outgo. Not having a car or a license is a HUGE obstacle to increasing income. All sorts of jobs and gigs I can do but can’t get without a car or license. What about babysitting in your home? Can you sew? Take in sewing or repairs. Internet has some work at home jobs. Some are legitimate. If you have a spare room, rent it out. Who knows, maybe your renter will have wheels! I guess I’m thinking ahead because my job may be one to go because of the economy. Well said, I like the way you are creating options! !